Soldiers returning from World War I marched in welcome-home parades across the nation. Local businesses, including the Buffalo Savings Bank with its palatial golden dome, flew U.S. flags and hung welcome signs. 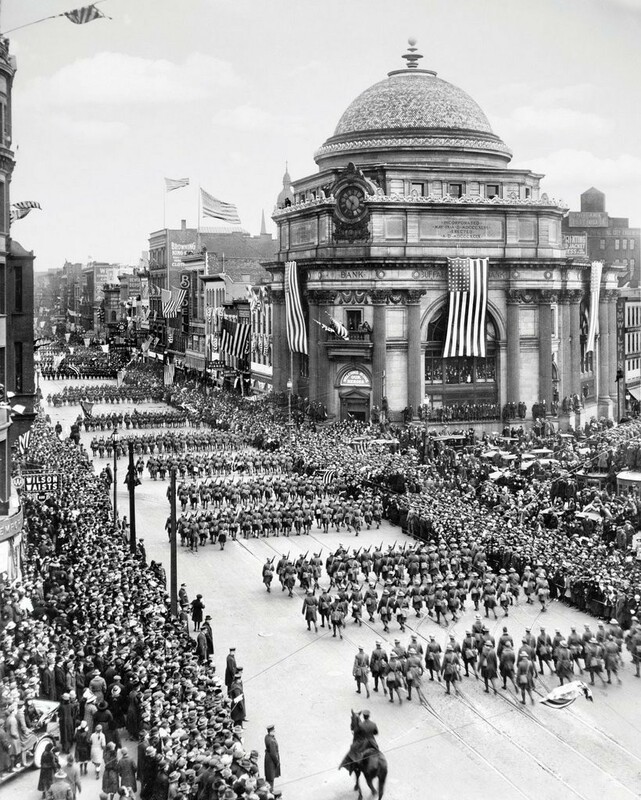 The brave soldiers were greeted and celebrated by throngs of fellow Buffalonians.